Managing Director Donna Reynolds (nee Kissinger) started her career in residential estate agency in 1994 working for corporate agents until purchasing her own company in 2004. During her career she has seen the market go through extreme highs and lows which has given her the expertise to think outside the box when negotiating on behalf of her clients. 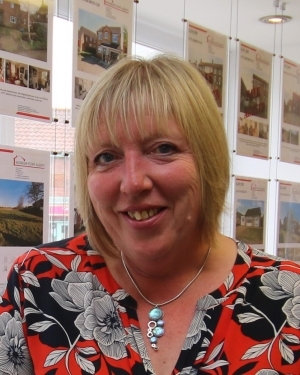 Donna has lived and worked in Attleborough for many years giving her excellent local knowledge and an in-depth understanding of her local market. Kelly joined Kissinger Estate Agents in 2006 having previously worked with Donna in corporate estate agency. Kelly has an excellent understanding of the residential sales market and in 2016 took over the responsibility of managing the residential lettings side of the business delivering an unrivalled service to both landlords and tenants whilst keeping up to date with current legislation in the ever changing market. She has also lived and worked in Attleborough for many years and having a young family is very knowledgeable about the local schools and facilities within the area. Jane worked for 2 years with Donna when she first bought the business before returning in 2014. Having lived in Attleborough for the majority of her life before moving to Norwich she also has a strong understanding of the local area and amenities. Jane works alongside Kelly in the busy lettings department ensuring our landlords and tenants needs are looked after whilst maintaining the high standard of professionalism of which the company are proud. Like all of the Kissinger team Emma has lived and worked in Attleborough for many years and is very knowledgeable of the local area and all it has to offer. Emma works alongside Donna in the sales team guiding our vendor clients from their initial market appraisal to the completion of their sale, keeping all parties informed and up to date minimising the stresses of moving home. Having built her own home Emma specialises in land and new homes sales and enjoys sharing her experience and knowledge of this intricate process. Rosie joined the Kissinger team in 2017 and has lived in and around Attleborough all of her life. She is enjoying learning her trade from her colleagues and is currently studying for her National Association of Estate Agents qualifications. Rosie is responsible for liaising with the solicitors and keeping buyers and sellers up to date with their transactions.